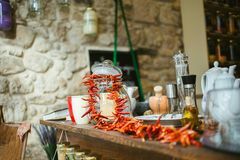 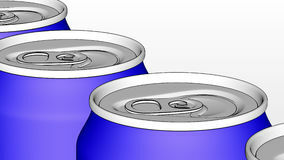 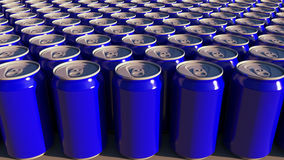 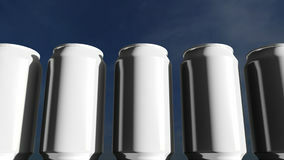 Soft drink or beer production line. 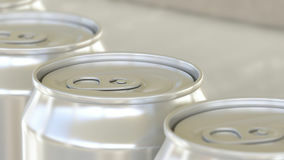 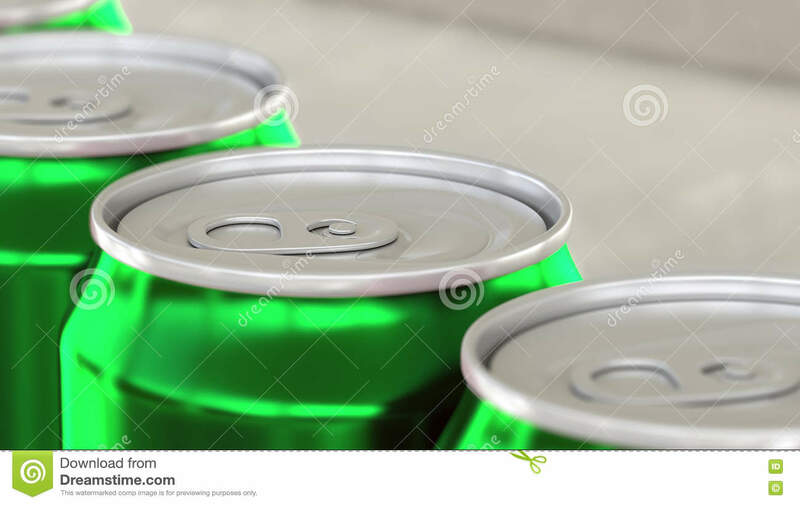 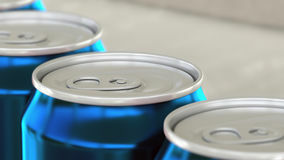 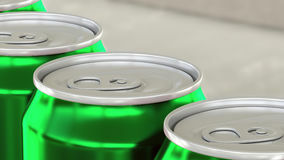 Green aluminum cans on industrial conveyor, shallow focus. 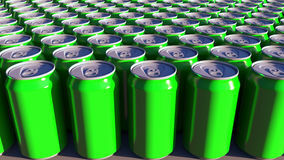 Recycling ecologic.